2001 Honda Prelude Custom paint, Adult owned/well kept! 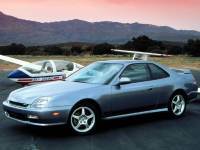 ...Used Honda Prelude for sale. Approx. 223k miles. Some body damage and wear on interior. Asking $1200. ...Used Honda Prelude for sale. Approx. 223k miles. Some body damage and wear on interior. Asking $1000.